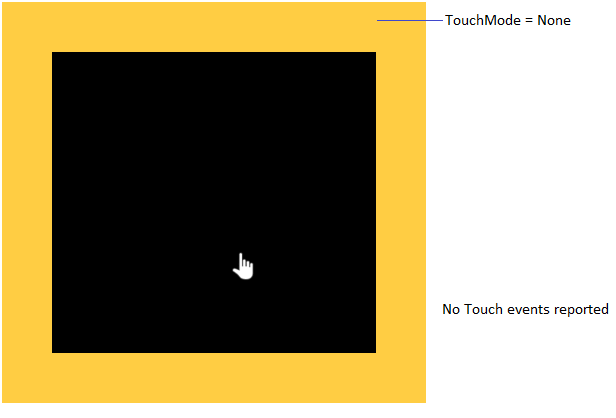 TouchManager allows you to control the touch mode of the UIElement in the visual tree. You can do this using the TouchMode attached property of the manager. 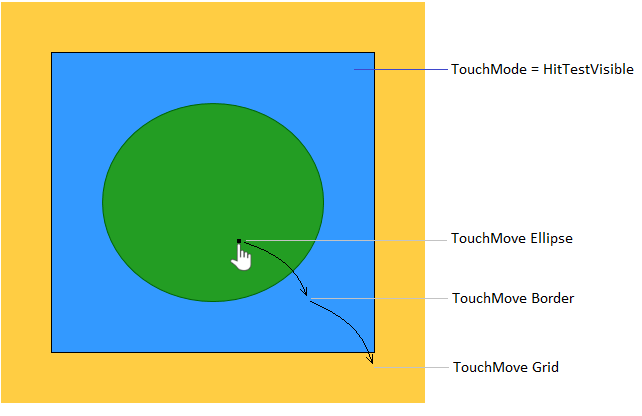 The IsTouchHitTestVisible and ShouldLockTouch properties of TouchManager are obsolete and replaced by the TouchMode property. 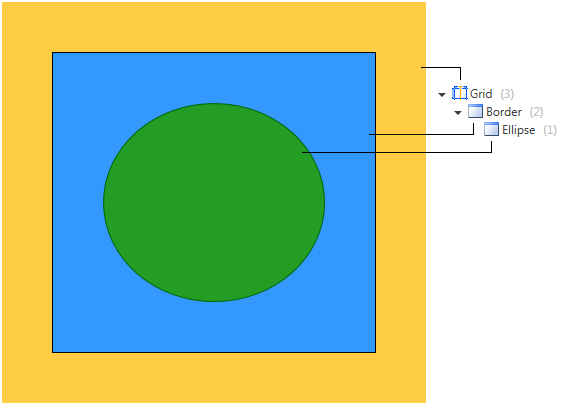 HitTestVisible (default value): The element is visible for touch input and events will route normally. HitTestHidden: The element is not visible for touch input. Touch events will be raised for the parents of the element, as if this element is not in the visual tree. Locked: The element is visible for touch input and it will capture the touch device on touch down. All touch events will be marked as handled, thus preventing event routing. None: The element will suppress all touch events. 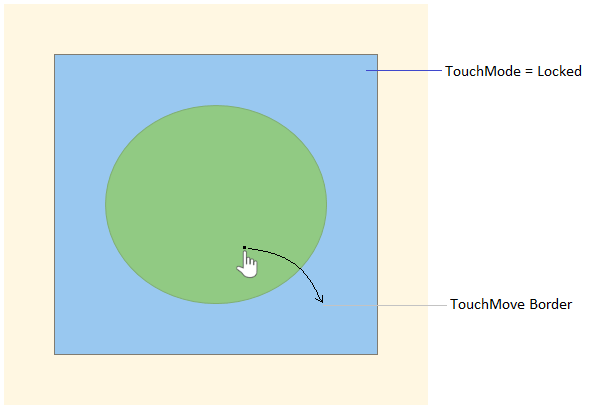 No touch events will be raised for touch input within the boundaries of the element. 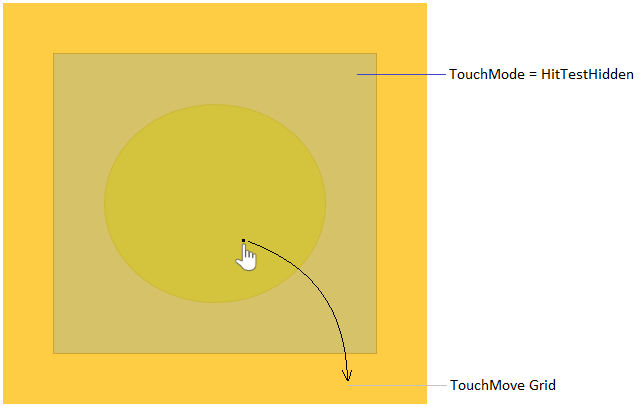 This section demonstrates the TouchModes with an example containing a few nested UIElements.